In a week-long crackdown on organised crime affecting the UK’s North West, last week Europol joined forces with the Greater Manchester Police (GMP), Immigration Enforcement, the National Crime Agency and other UK agencies, to undertake a series of raids, visits and safeguarding checks as part of Operation Challenger – the region’s biggest ever approach to tackling organised crime. More than 40 warrants were carried out to disrupt and dismantle organised crime groups involved in illegal immigration, sham marriages, drugs and the exploitation of some of the most vulnerable in society. The week of action not only utilised close collaboration between partner agencies to identify and detain known criminals but to visit high risk areas and work with potential victims of exploitation to offer protection and prevention advice. The week was also an effective tool in gathering further evidence and intelligence in the continuing attack on the criminal networks operating in Greater Manchester. Since Monday 24 March there have been 78 arrests – 45 immigration-related and 33 for other organised crimes. Drugs with a street value of more than GBP 285 000 and more than GBP 70 000 in cash was seized. Further disruption to organised crime groups was delivered in the form of GBP 100 000 in fines served to businesses in the region. Further arrests and seizures are likely to be declared in coming days. The effectiveness of this operation’s cooperative approach was particularly highlighted by the success around visits to car washes across Greater Manchester, where the link between illegal immigration and other forms of organised crime was most clearly illustrated. Car washes in Salford, Wigan and Oldham were visited, where a number of illegal workers were discovered. With the quick response and assistance of partner agencies, offences including drugs, benefit fraud and a potential sham marriage were also uncovered through those visits. In addition to arrests and raids, Challenger’s delivery of effective prevention and enforcement activity was most prominently reflected this week via operations in a number of local areas. In Wigan, whilst conducting harm reduction visits, the GMP Child Sexual Exploitation Unit arrested one man for both child sexual exploitation and drugs offences, and another man was arrested for grooming offences. Tuesday saw a flurry of activity in Bolton, where six arrests were made for offences including human trafficking and sexual exploitation. During the investigation phase, Europol facilitated information exchange and provided analytical support. 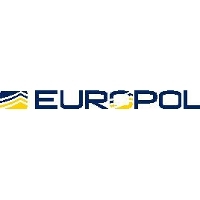 For the action week, Europol was present with two officers on the spot to carry out cross-checks of data and to provide forensic support on telecommunication devices and computers.